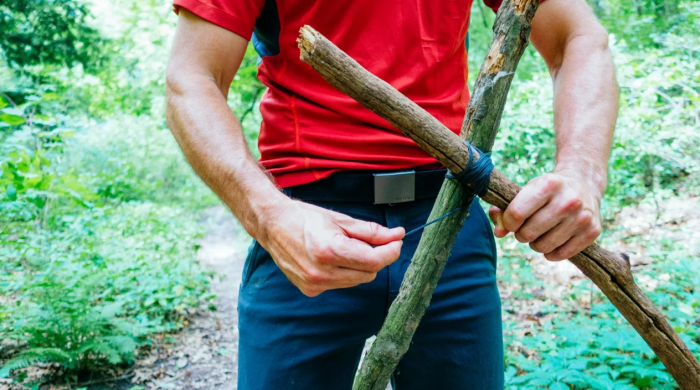 Made in the USA of military-grade webbing, the Cache Belt has a two-foot velcro enclosure for money, personal items, or an extensive survival kit. 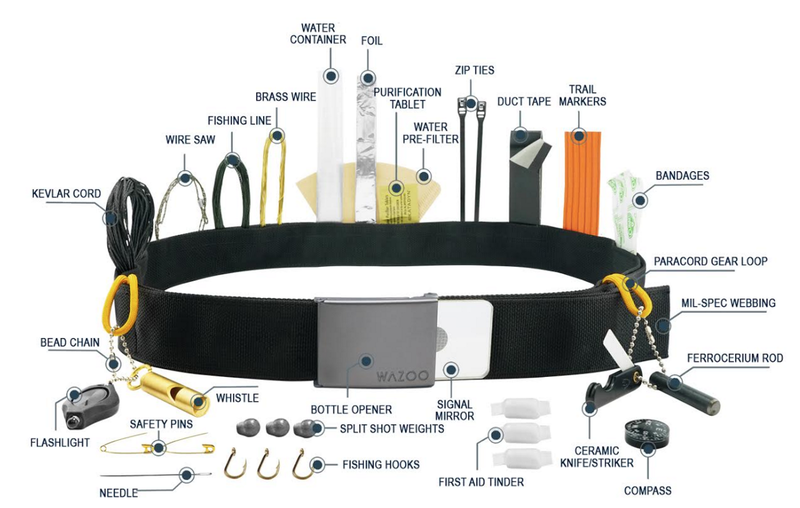 “The best survival kit is the one you have with you.” So goes the inspiration for Wazoo Survival Gear’s new Cache Belt. The belt’s key feature is a two-foot velcro enclosure that can carry all kinds of gizmos, including two different survival kits that the company put together. The creator of the belt, Wazoo Survival Gear, is best known for Paracord Survival Bracelets. The belt offers a similar “always there” survival kit and hidden pocket. We’ve inspected one, and it’s a nice build. It launched this week on Kickstarter, and has already tripled its funding goal with $33,000 raised. The belt comes in three configurations. All versions have a bottle opener built into the buckle and gear loops that can be tucked back into the velcro enclosure. 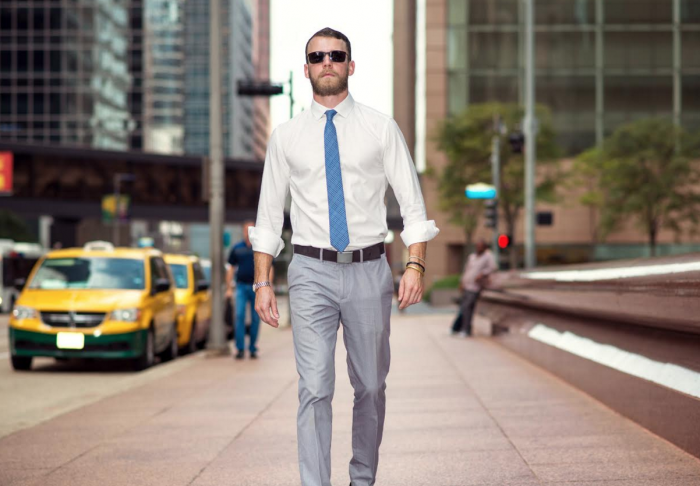 The Minimalist Belt is essentially a belt with a large built-in pocket. The company suggests using this version as a money belt for on-the-go access to cash and other travel items. The Essentials Kit has the same pocket, but includes a TSA-friendly survival kit with room for customization. The Kickstarter early bird price is $50. The kit includes: fishing hooks, weights, safety pins, a needle, fishing line, a whistle, cordage, zip ties, duct tape, a ferro rod, striker, purification tablets, and a water container. The kits build on each other. All items in smaller configurations are in the Adventure model. It adds: a water pre-filter, aluminum foil, a ceramic knife, a flashlight, trail markers, bandages, a compass, and a signal mirror. At $20, the Minimalist belt is a value to those looking to upgrade from a similarly priced off-the-shelf choice. The Essentials Kit gets you just that for a value-conscious $50. The Adventure Kit, at $75, is the best choice for those planning on going far off the beaten path. Learn more, or order now, on Kickstarter.